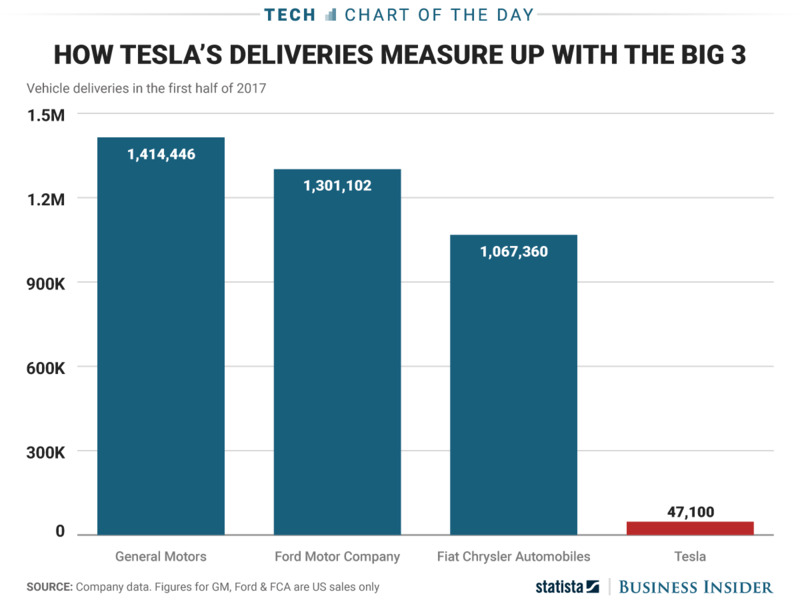 Tesla has only produced 47,100 cars so far in 2017. Many investors are betting on the future of electric cars and Elon Musk’s vision rather than Tesla’s actual car making abilities. The mass market Model 3 is due out any day now, and will ramp up overall production with 20,000 cars per month by December. It still won’t come close to touching any of the production numbers of the big 3. Tesla isn’t the one with fingers in the electric car pot either. Volvo announced on July 5 that all of its new cars would be fully electric or hybrid by 2019, and the electric mass market, electric Chevy Bolt will directly compete with the Model 3.